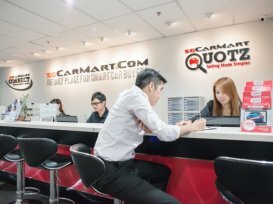 For car owners who want to sell their cars to dealers, sgCarMart Quotz takes away the pain of going to multiple shops to ask for quotations. Car owners are able to obtain the highest offers for their cars through the sgCarMart Quotz bidding system which reaches out to over 500 used car dealers. Car owners only have to make a single trip down to the sgCarMart Quotz office. Hand-over date of the vehicle is flexible and on top of that, sgCarMart Quotz offers a money back guarantee that their final quotation is the highest price in the market.